Good morning, PA fans. 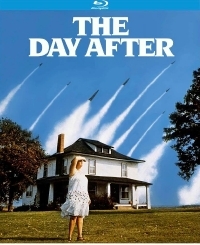 Details have finally come in for Kino's blu-ray release of the classic post-apocalyptic television special The Day After. Next to Threads and Survivors, this is one of the more harrowing, realistic looks at nuclear annihilation. The Blu-ray will be relesaed August 7th on DVD and Blu-ray in brand new HD Masters. The Day After (2-Disc Special Edition) will have optional English subtitles and include the following features"
I definitely consider this a must-own release for PA collectors. Survivors is about a pandemic aftermath, not a nuclear war. Maybe you were thinking of Testament? Lumped it in as another realistic look at a post apocalyptic scenerio from the same era, but you're right that's confusing. Testament is also a great example from the era.